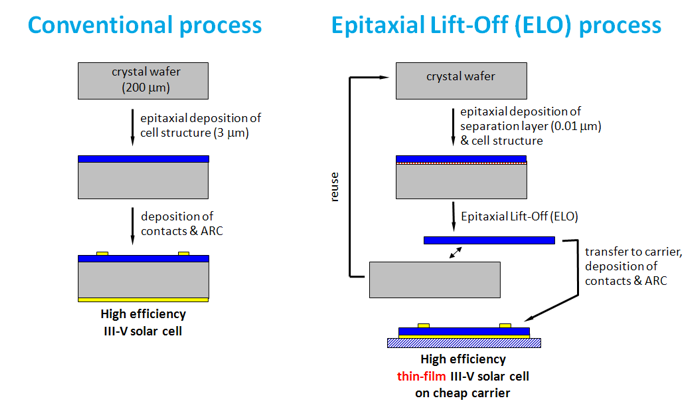 tf2 devices produces thin-film III-V optoelectronic devices, using the patented epitaxial lift-off (ELO) technique developed by the Radboud University Nijmegen over the last 15+ years. 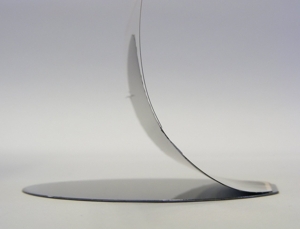 The ELO technique separates an epitaxial layer from a substrate, without damaging either component. This allows for the substrate to be reused and the wafer sized thin-film to be further processed into (opto)electronic devices. For example high efficiency solar cells, High Brightness LEDs, High Power Laser Diodes (HPLDs), Vertical Cavity Surface Emitting Lasers (VCSELs), receiver arrays, flexible displays, etc.